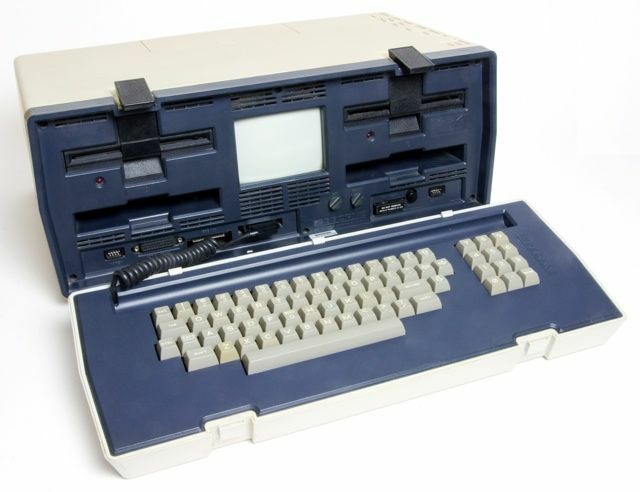 Any microcomputer might be considered portable - just pick it up and move it, then go back for all the other bits - but the Osborne 1 was the first machine to be designed specifically with portability in mind. Weighing in at 10.7kg, it was no easy carry, but within its casing it packed all the components of a desktop machine: keyboard, display - a 5in CRT - ports, power transformer - but no battery - and a pair of floppy disk drives. This was a machine you could take from place to place, plug in and use, rather than a device to be used while travelling. To make the 1 more appealing, Osborne bundled word processing, spreadsheet, Basic and, later, database software with the machine. Built on the quiet at a time when IBM was keener to sell mainframe and minicomputer systems, the PC - originally dubbed the IBM 5150 - by necessity used off-the-shelf parts. 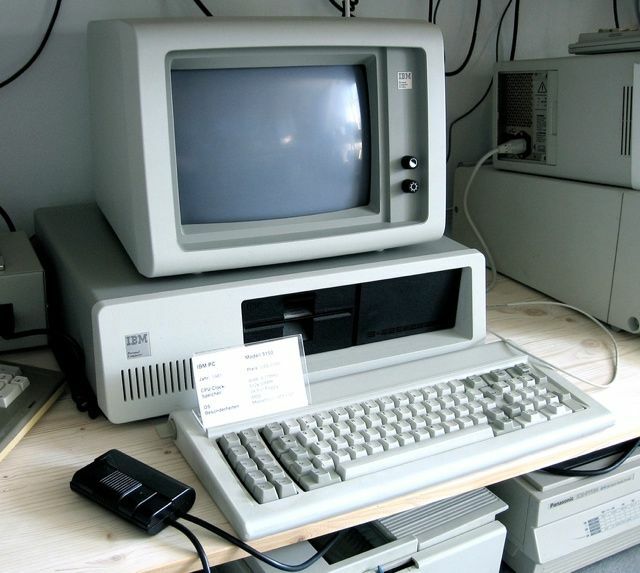 After the computer’s launch, on 12 August 1981, it became a huge success, appealing to the growing number of businesses who wanted to adopt computer technology but needed the reassurance of a major brand like IBM to do so. Its success spurred rivals to buy in the same third-party components - most notably the Intel CPU and Microsoft’s DOS - and figure out how to make their systems run software designed for the IBM. The clone market was born and the IBM PC became the desktop computer standard on the back of it. Epson’s HX-20 was the world’s first mobile computer. 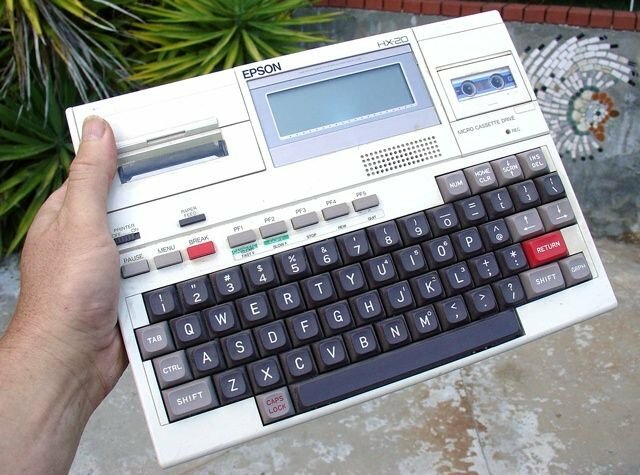 Unlike the Osborne 1 - which launched seven months before the Epson’s November 1981 introduction - the HX-20 had an on-board battery allowing it to be used on the move. The A4-sized unit featured a full keyboard; a 120 x 32 pixel, 120-character by four-line LCD display; a calculator-style integrated printer for hardcopy output and, on some models, a built-in microcassette player for data and program storage. It had 16KB of Ram, kept powered as long as the battery had charge. Because who doesn't want Hipster chat at 320 × 200 with a side of rPi?